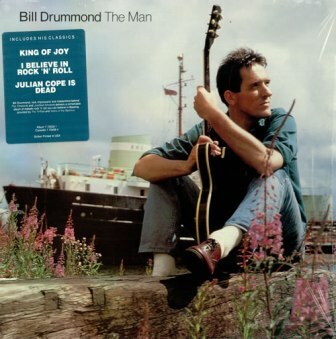 As one half of avant-garde dance music outfit KLF, Bill Drummond enjoyed international chart success with hits such as ‘3am Eternal’, ‘What Time Is Love’, ‘Last Train To Transcentral’ and ‘Justified And Ancient’. Having enjoyed a career with a string of music and art project achievements as long as the A75, he has been described as anything from, ‘the coolest man in pop’ to a ‘madcap Scottish genius’. More importantly, he is a Queen of the South fan. Bill also attracted plenty of controversy for such events as burning £1 million in 1994 on the Isle of Jura - an event on which he has placed a 23 year ban on answering questions about. Additionally though, on his 1986 solo country / folk music album The Man, he recorded an instrumental track called `Queen of the South`. Taking a break from his current project, The17, to speak on Sunday at the BBC ‘08 festival of free thinking’, it was a pleasure to then hear Bill Drummond speak on passionate form as a self-confessed Queens supporter.